Great results from Tesla for Q1 production: a 40% increase over Q4 and the highest numbers ever attained. This includes 9,766 of the new Model 3 and that figure continues to increase with a short term goal of 300 per day. Great achievements all around, and the Q2 numbers will be even better. And yet still the naysayers, those self-proclaimed industry “analysts”, continue to whine over anything and everything: production, quality, stock price. And a recall to them is enough “proof” to condemn the entire thing (the recent recall by Tesla over steering rack bolts that may cause an issue is a lot less of an issue than Ford’s even larger recall over steering wheels that could fall off – and have in a few instances). They look for any and all issues as evidence of some fatal flaw in the entire “scheme”. Why is this? We suggest patience – take a step back and look at everything that has been accomplished. Tremendous work here: we believe that Tesla is a American success story, a phenomenal one at that. And we see parallels to some other American revolutions such Apple and Amazon.com. Remember that Apple failed at one point due to poor management, and the industry analysts all but buried it – only to see that it came back stronger than ever and to the same original vision. Amazon is an even better example – the analysts almost purposefully called it dead many times, or that it “should be” dead – when over successive quarters for many years the profits were rolled back into the business instead of into the pockets of investors. Folks, it’s called a long term investment (protein) rather than a short term (sugar water) return to investors. Look how well both these companies have turned out, and investors with patience are all rich if they held their stock – while the naysayers are still strangely quiet and probably still shaking their heads in disbelief. Now imagine where Tesla would be if gas prices weren’t held so artificially low. And if our national energy policy was still focused on getting away from foreign suppliers as much as possible, rather than continuing to increase oil imports mindlessly. Or if the United States federal excise tax on gasoline was indexed to inflation, rather than left as is (last changed in 1993, and since then inflation has increased by 64.6 percent). That same excise tax that is supposed to pay for maintaining our highway infrastructure… which has reached a crisis point. This isn’t a political story, it’s an American success story. We’ve driven the all-out Model S several times, and we continue to be amazed by the instant (and huge) torque all across the power band. It’s a terrific drive and we’re looking forward to taking delivery of our own Model 3 some day. 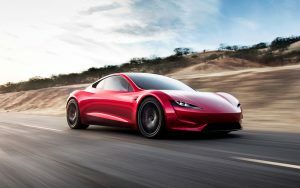 And Tesla is a continuing revolution in progress – the upcoming Roadster and Semi are incredibly revolutionary. 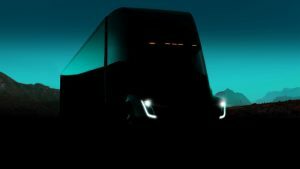 The trucking industry is committing to the Semi by the thousands, and even before it becomes available they are already building the charging infrastructure that will be needed to support it. The new Roadster, the top performing sportscar ever built (gasoline or electric), is a bit further out and will go on pre-sale soon. We challenge you to buy some Tesla stock, sit on it and don’t sell under any circumstances. Then come back in a year and look at the production figures then for the S, X, 3, and Semi. PALO ALTO, Calif., April 03, 2018 (GLOBE NEWSWIRE) — Q1 production totaled 34,494 vehicles, a 40% increase from Q4 and by far the most productive quarter in Tesla history. 24,728 were Model S and Model X, and 9,766 were Model 3. The Model 3 output increased exponentially, representing a fourfold increase over last quarter. This is the fastest growth of any automotive company in the modern era. If this rate of growth continues, it will exceed even that of Ford and the Model T.